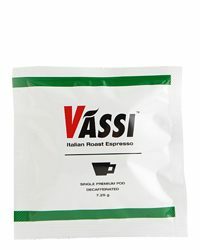 View cart “VASSI ESPRESSO CUP” has been added to your cart. 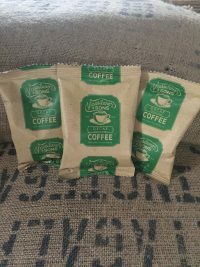 Our beloved, signature coffee for more than 99 years. Crafted from the high-altitude estate farms of Central America, combined with the sweet and full-body coffees of South America. Together, they complement each other to make a perfectly balanced medium roast. 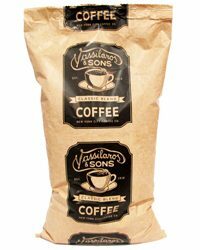 Freshly roasted five days a week, the superb taste begins with hints of caramel and toast. 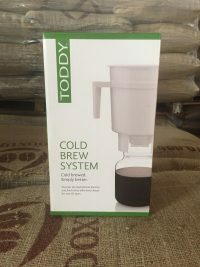 Its body is soft, round, and elegant, making for a seamless brew without any hard edges. A subtle sweetness finally gives closure to our Classic blend. One 2.5 oz. 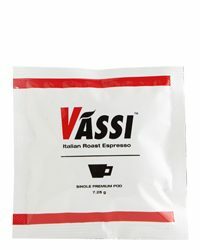 pack makes 10–12 cups, ideal for those mornings you and the whole family want to wake up with Vassilaros. One 2.5 oz. 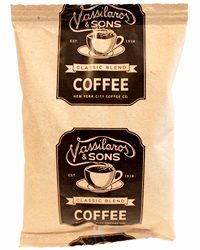 pack makes 10-12 cups, ideal for those mornings you and the whole family want to wake up with Vassilaros. 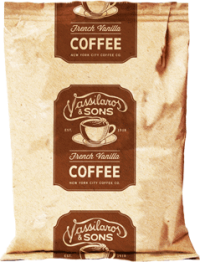 Our French Vanilla medium roast blend beautifully balances exotic vanilla bean flavor with the warmth and fragrance of our Classic blend. With our elegant Classic coffee at its heart, this mellow and toasty Hazelnut blend sets the stage for the milk chocolate notes that round out with a delicately sweet finish. 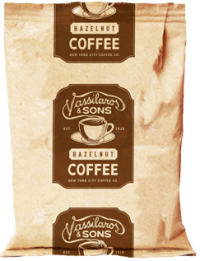 With our elegant Classic, naturally decaffeinated, coffee at its heart, this mellow and toasty Hazelnut blend sets the stage for the milk chocolate notes that round out with a delicately sweet finish. Our passionate nod to the king of Italian coffee. 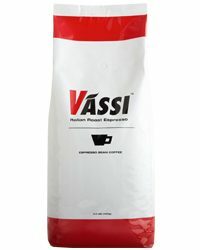 Vassi Espresso is comprised of carefully selected beans that can sustain the deep roast profile we have singularly created. It features a lush, velvety crema that opens up to unveil a concentrated, bold, and complex flavor profile of nuts, toast, and sweet, dark cacao. One pod makes one shot, perfect for that busy morning when you’re on-the-go, or the slower moments when you feel the need to indulge in a long, luxurious Vassilaros delight all to yourself. Our passionate nod to the king of Italian coffee. 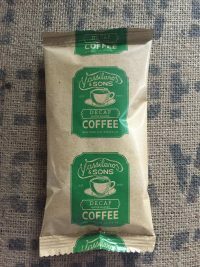 Vassi Decaf Espresso is comprised of carefully selected beans that can sustain the deep roast profile we have singularly created. It features a lush, velvety crema that opens up to unveil a concentrated, bold, and complex flavor profile of nuts, toast, and sweet, dark cacao. Our signature, Italian-made, 2.5 oz. cup and saucer make the perfect pair for a perfect espresso. 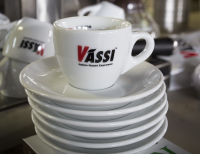 Designed with a mark for the ideal creme level, there’s no better way to enjoy our Vassi Espresso.